Scent: Fresh, camphorous, spicy, minty, with woody undertone. Benefits, Indications: Cooling, clear, and penetrating, Eucalyptus dives, or peppermint eucalyptus, is a natural support for deep and clear breathing. This eucalyptus essential oil possesses the numerous therapeutic benefits of the more common Eucalyptus globulus oil, with added refreshing, bright peppermint notes. Eucalptus dives is a wonderfully aromatic oil that will add an unexpected layer of brightness and clarity to all your aromatherapy applications. The oil has been used successfully with respiratory infections, especially those affecting the lower respiratory tract: bronchitis, pneumonia, asthma. The oil is centering, calming, causing you to take deep slow breaths and forcing the bronchioles to dilate. Eucalyptus dives is recommended for pain relief, whether from sinus headaches, any other type of headache, arthritis pain, and respiratory problems. This species has different, more specific antiseptic action than other Eucalyptus oils, is excellent for skin or topical application. Precautions: Eucalyptus oil is non-toxic, non-irritant, and non-sensitizing. 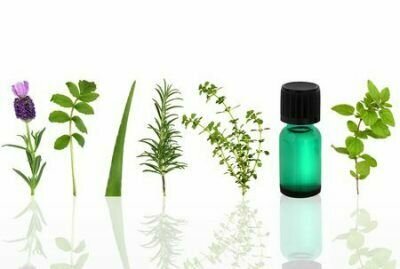 People with high blood pressure and epilepsy should avoid eucalyptus oil. Excessive use of this oil may cause headaches. Do not take eucalyptus essential oil internally. Toxicities of Eucalyptus dives Oil, 3-Carvomenthenone, and Its Analogues against Stored-Product Insects.